The board of the Urban Redevelopment Authority of Pittsburgh is set Thursday to adopt the City’s “Clean Construction” guidelines. The guidelines require all city government construction projects costing $2.5 million or more to use diesel emission control strategies on construction vehicles, including the use of ultra-low sulfur diesel fuel. 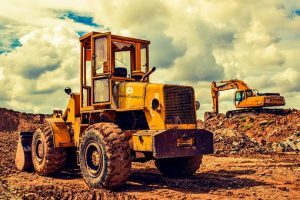 The guidelines require the use of the best available control technology, such as a diesel particulate filter, on all on-road vehicles, like dump trucks, and off-road equipment, such as backhoes and bulldozers, that are involved in the projects. The Clean Construction guidelines were introduced by then City Councilman William Peduto in 2011 and then revised in 2016 to make them easier to follow for contractors. The McFarren Bridge project in the city’s Duck Hollow neighborhood was the first major project to come under the revised guidelines. The Group Against Smog and Pollution (GASP) and other environmental advocates worked hard for that passage, and have long called for city-affiliated agencies such as the URA to adopt Clean Construction policies. “Adoption of this policy by the URA will have a positive impact on the environment and those working on and living near the construction projects, where the policy applies and is implemented,” says the resolution going before the board on Thursday. GASP lauds the proposed move. Posted April 10th, 2019 by Amanda Gillooly in Blog.